Glasgow born John Riddell worked as a Brewer and Distiller in the Thomondgate Distilleries. His wife Elizabeth, who he married about 1876, was also Scottish. The eldest of his four children Elizabeth “Bessie” Riddell was born in Scotland while their remaining children, John, Janet “Jeanie/Jenny” and Alexandria “Lexy”, were born in Limerick. 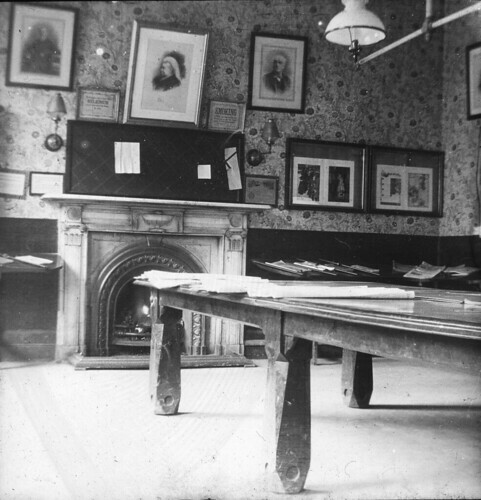 The family were of the Scottish Presbyterian faith. 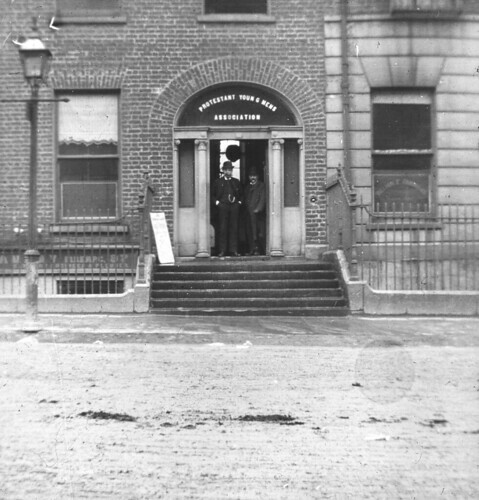 From at least 1879 they were living at Islandview House in Thomondgate. 1. 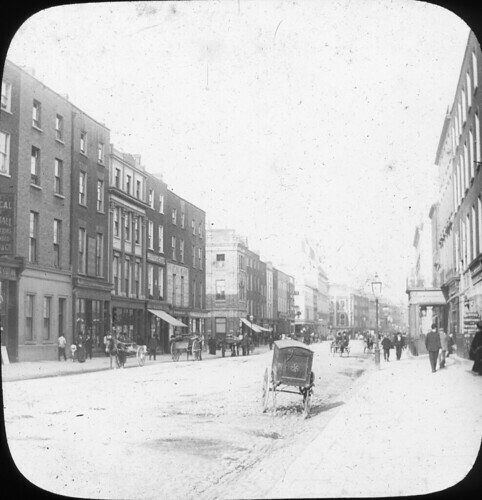 Georges Street, note the porch of the Country Club on the right and the ornate gas street lamp. 2. 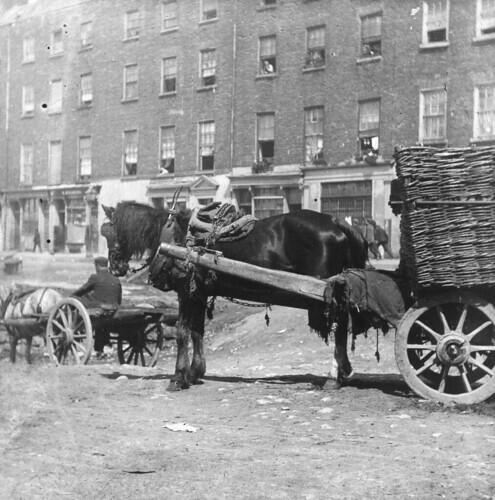 Arthur’s Quay, a horse waits with a wicker cart to load or unload to incoming ships. Note all the people in the windows of what was tenement buildings at the time. 3. A group gather in front of the castle, in the background you can see the old buildings on The Parade. 4. The Castle by moonlight, you can see the silhouette of St.Mary’s and St. John’s Cathedrals in the background and the cone roof of one of the castle towers is still in place. 5. 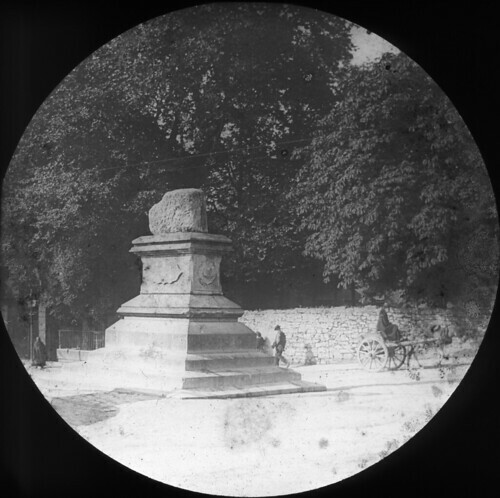 The Treaty Stone from Thomond Bridge, an unusual view of the Treaty Stone towards St. Munchin’s Old Church. 6. 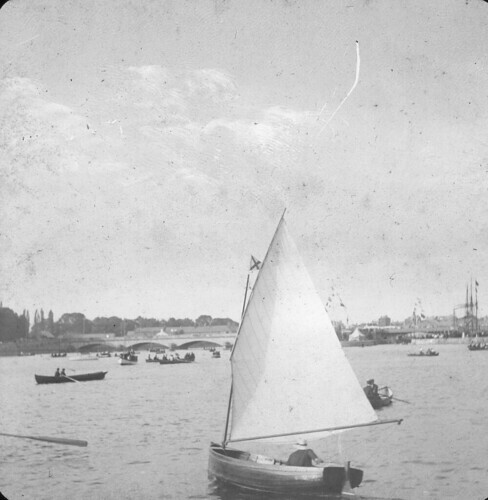 Boating on the Shannon, sail boats and row boats were out that day enjoying the sun at Harvey’s Quay. 7. 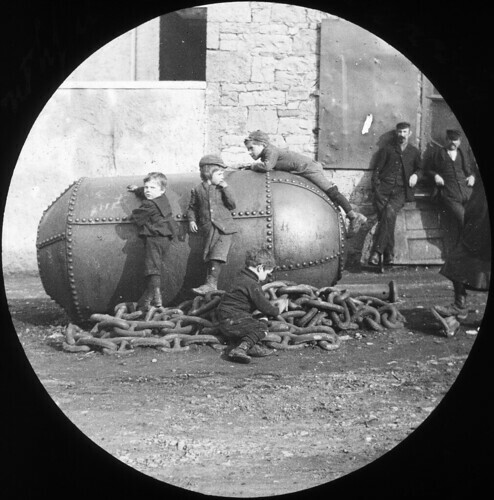 Small boys playing on an buoy in Limerick Docks. 8. 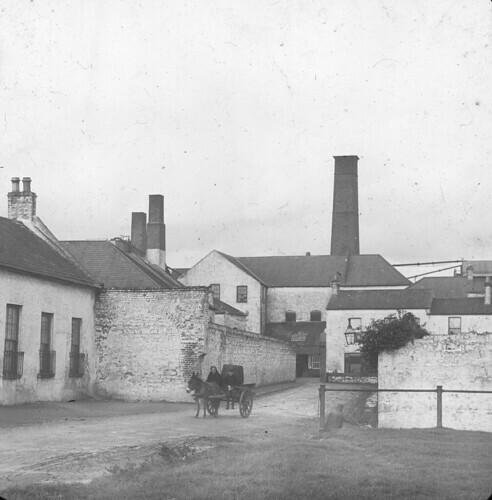 Thomondgate Distillery, this is where John Riddell who captured these wonderful images worked. 9. 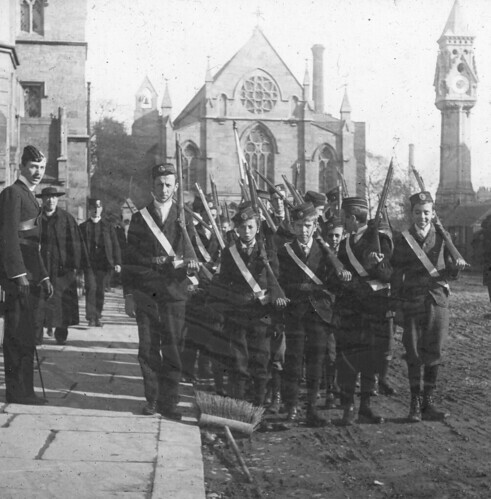 The Church Lads Brigade, note the broom in the foreground and the Matterson’s factory chimney in the background. 11. 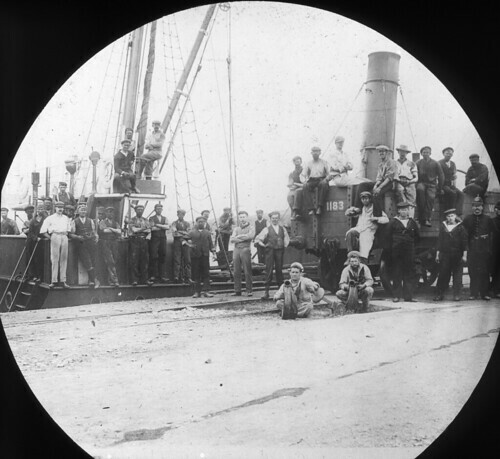 Bannatyne State Discharging Coal at Limerick Docks, many of the men are blackened with coal dust which would cause respiratory difficulties. 12. 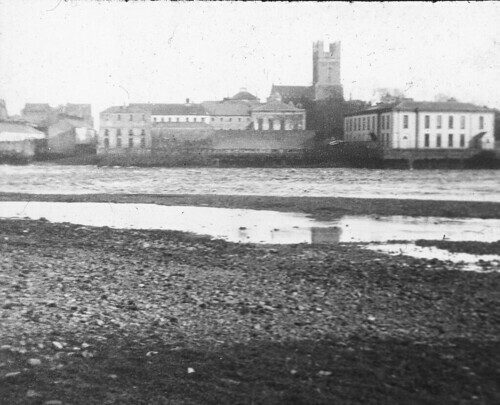 The tide out in the Shannon, showing St. Mary’s Cathedral and the Courthouse. 15. 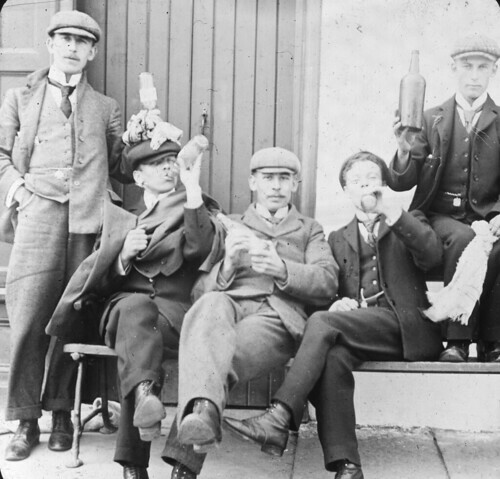 Protestant Young Mens Association Football Team, enjoying a few drinks. You’re welcome, I am glad to receive feedback and am very happy to double check my facts and update them if they are wrong. Thank you for your input. 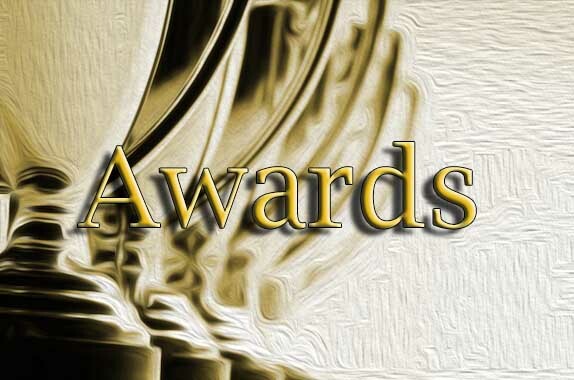 Thank you Sharon – and Apologies! That was not the position I thought the photo was taken from – Happy to be corrected. Mt St Alphonsus is further to the right out of the picture. In Pic #4 … Don’t think that is St. John’s Cathedral in the background – I think it is Mt. St. Alphonsus. 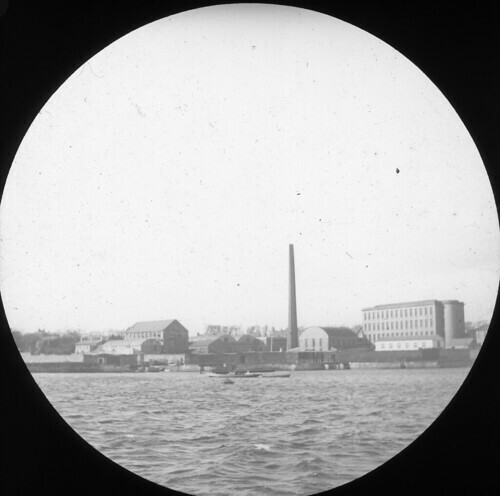 You are right, that is Baker Place and the Tait Clock behind. I think in picture no. 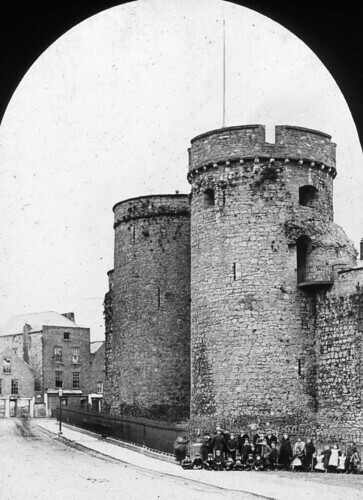 9 on the right is Tate’s Clock which is still standing in Limerick City. That is fascinating, it is a small world! Thank you Steve, Lexy makes a lot more sense than what I was reading on the census records. That is very interesting about the link between the Ludlow family and the Titanic. Nice one David! 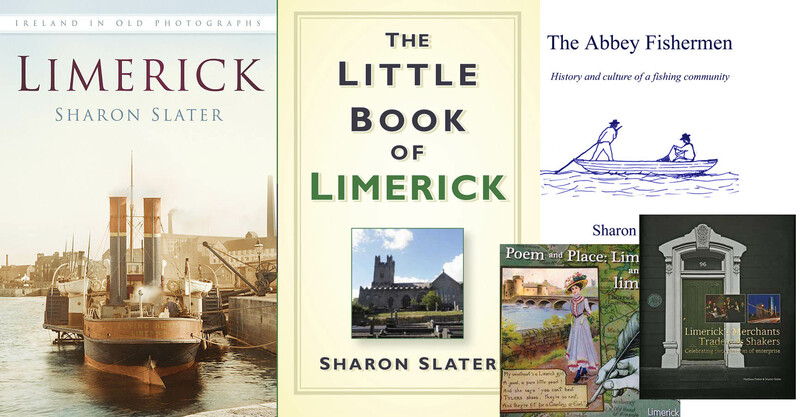 When I find the other Limerick photo albums (they are somewhere in my study) I’ll scan them and contribute. 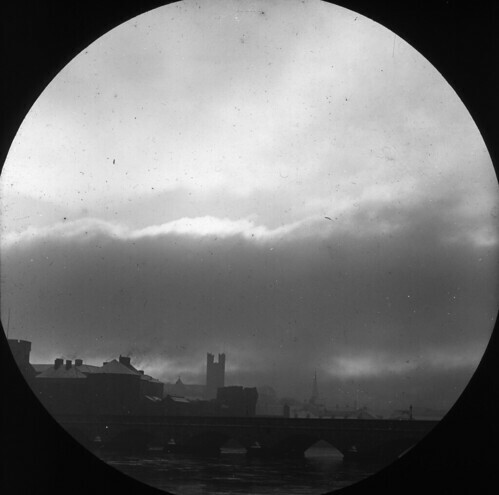 Some very interesting pictures of troops on Thomondgate bridge @ 1916 I think.